One of my last startup companies was awarded Fast Company Magazine's Fast 50 Award in 2004. 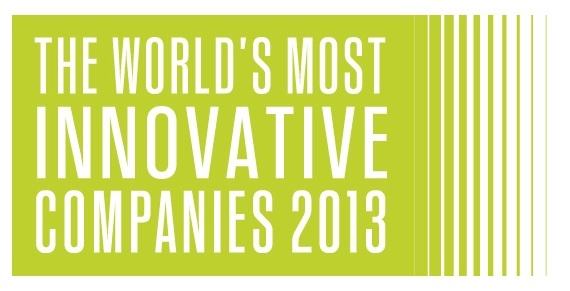 Their award is now called The World's 50 Most Innovative Companies. Our small startup band of warriors invented, patented, built, sold and successfully deployed some of the most innovative industrial water treatment systems in the world. We built a globally relevant new business from scratch and developed an important new market. I'm still very grateful for and proud of this recognition from Fast Company Magazine. 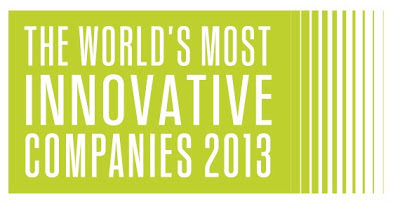 The new Fast Company list of the World's 50 Most Innovative Companies is out. It's a great collection of stories... people changing the world through innovation and intense customer focus. Opportunities for innovation occur in every industry, no matter how big or small your enterprise. Who will be on the list for 2014? Maybe you! Fast Company Magazine. The World's 50 Most Innovative Companies.